From the original 80's arcade game to the role playing masterpieces of today. These are the top 10 best Star Wars video games of all time. While I take some reviewers views into account, this is definitely a personal preference list. I've played each game listed, including that arcade classic, I was six she was an Amstrad CPC, I still have that system... I digress. Bioware's now legendary D&D based Role Playing Game is a well deserved first place. It gave us the alignment system, meaningful dialog choices to shape our own experience, romantic relationships, and the longest expanded universe experience we had ever seen in a video game. Critically acclaimed at its release for great graphics, based on the Doom III engine, and for its innovative approach to Lightsaber duals. Outcasts mix of FPS and 3rd person action will live on as one of the best Star Wars video games ever produced. Say what you will about Sony ruining the later life of the game, but the original Star Wars Galaxies was one of deep immersion into a universe we all loved. The original Star Wars MMO allowed you to carve out your own story in an epic universe, and with sacking of player cities too! 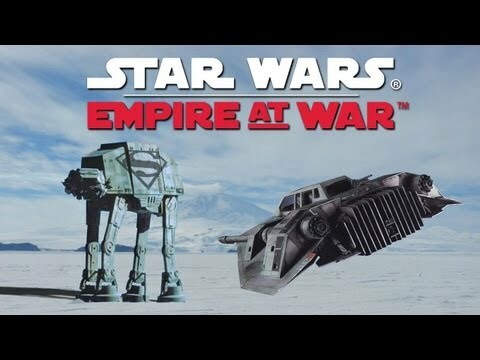 While not everyone loved Empire At War, it deserves a high place in this 'best of the best' list. It is after all the first time we could take control of full armies, on the ground as well as in space, to carve our own path as Rebel or Imperial across the Star Wars galaxy.